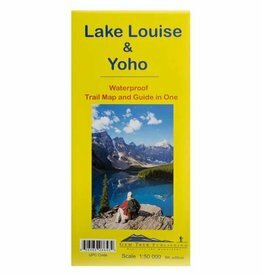 This detailed map is your guide to over 80 km of hiking trails, alpine meadows, pristine mountain lakes, massive glaciers, and awesome vistas in a compact area well away from the hustle and bustle of this popular tourist region. 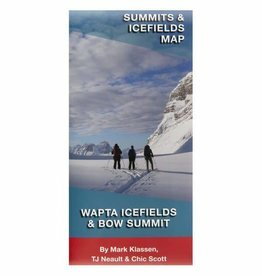 The Wapta Icefield and Bow Summit Map is a marked route map and mini-guide for skiers and climbers traveling to this internationally-renowned destination. On the back of the map are descriptions of hiking, biking and cross country ski trails in the area. The area covered on this map is prime hiking terrain with scenery as superb as the rest of Banff National Park, but with the trails less busy than those in the Banff townsite and Lake Louise areas. 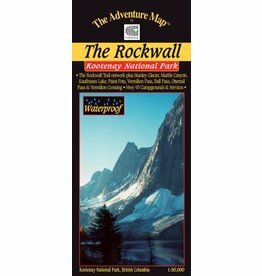 Superb backcountry campsites and a network of over 100 km of hiking trails await your journey along The Rockwall, the towering 900-metre high face of rock overlooking some of the most spectacular scenes in the Rockies. 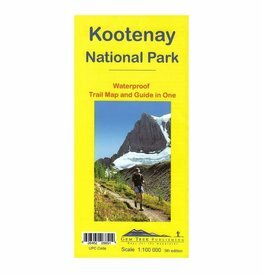 This map covers all of Kootenay National Park, from Castle Mountain Junction south through Radium, to Windermere.